Rally driving, like all forms of motorsport, has its risks. Having less than ideal traction and hard, woody objects lining the road amplifies those risks, and oftentimes leads to scary, spectacular crashes. 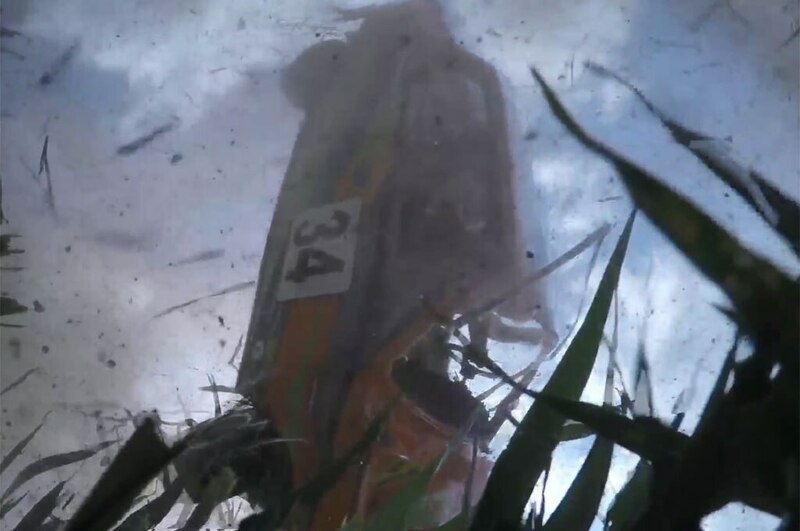 This dashcam video from a Skoda 130LR offers a rare view of such a crash – shot from beneath as the rally car tumbles through the air. You’re probably wondering how that’s possible. In an unusual twist, the dashcam is ejected from the car mid-roll and lands facing up in just the right position to give us the unique vantage point. The crash occurred at the 2016 Podbrdská Rally Legend in the Czech Republic. Everything starts out normal as the rear-engine, rear-drive car hustles through the gravel stage, but something causes the Skoda to leave the road and head into the grass. It narrowly misses a tree as it rolls in midair, ultimately landing on the passenger front fender and continuing to bounce off the ground. It’s at this point that the camera leaves the cockpit and confusingly places the viewer outside. It’s a surreal transition, kind of reminiscent of an out-of-body experience, as we see the car we were just riding in flipping over us in slow-mo.